During a lifetime of comet hunting David Levy has swept up many unique and interesting deep-sky objects and through this observing program he shares with us 154 of his Deep Sky Objects (Prometheus Books, New York 2005). Leo Enright (1943–2009) invested a great deal of time on the project, selecting objects that did not overlap with other RASC observing programs. The certificate has been awarded since 2013. Open Clusters 14 Including the overlooked naked-eye open cluster NGC 752, Tombaugh’s Cluster, and the Christmas Tree Cluster in Monoceros. Globular Clusters 14 “Intergalactic Wanderer” in Lynx and globular cluster NGC 7006 in Delphinus. Bright Nebulae 7 Unusual objects such as NGC 1333, the Embryo Nebula, and NGC 7023, the Iris Nebula, along with other “weird” nebulae. Some are associated with nearby star clusters. Planetary Nebula 1 This large and bright Fornax planetary deserves to be better known. Galaxies 112 Large and small, round and elongated, there is a great variety of galaxies, spiral, elliptical, and unusual. 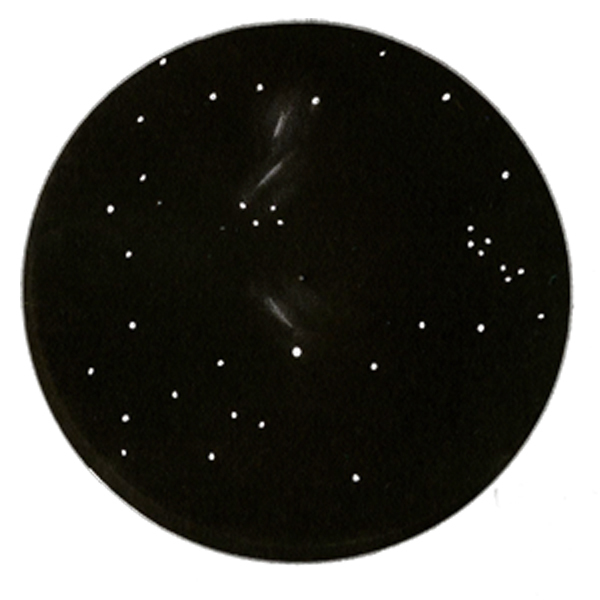 IC and Arp clusters visible in medium sized scopes. Observing the Deep-Sky Gems is an excellent project for those who have completed their Messier and Finest NGC Certificates and are looking for another visual observing program. The official list can be found in the RASC Observer's Handbook. At least a 20-cm (8-inch) telescope is recommended for tackling the list, but an instrument with an aperture in the 40-cm (16-inch) range will be needed to satisfactorily observe the quasar. A nebular filter will assist in observing most of the nebulae. Several Deep-Sky Gems may be observed in smaller instruments or without optical aid, so that virtually anyone can begin this project without a trip to the scope shop. Nebular filters will assist in the observation of faint glowing clouds of gas, but note that reflection nebulae do not benefit from such filtration. You may observe the Deep-Sky Gems in any order. RASC members may apply for a certificate using the form at the bottom of the page. Deep Sky Objects - by David H. Levy, The Best and Brightest from Four Decades of Comet Chasing. Find out details about the Deep Sky Gems certificate here.